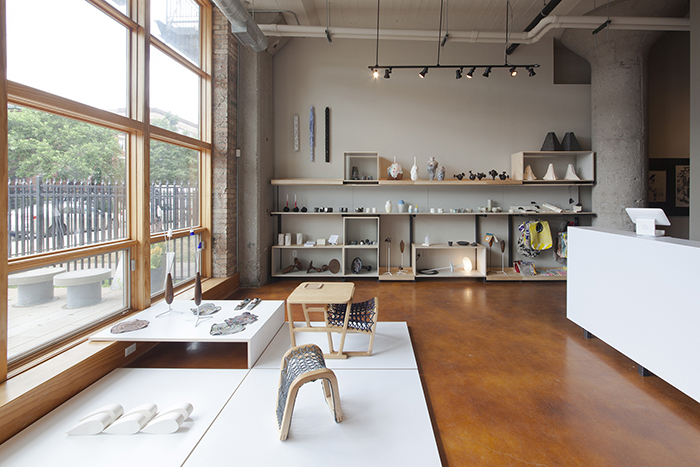 Simone DeSousa EDITION, adjacent to our art gallery of the same name, is no conventional gift store. The space offers visitors the experience of Contemporary Art + Design in the form of a curated ever-changing selection of limited editions that are both collectible and accessible. 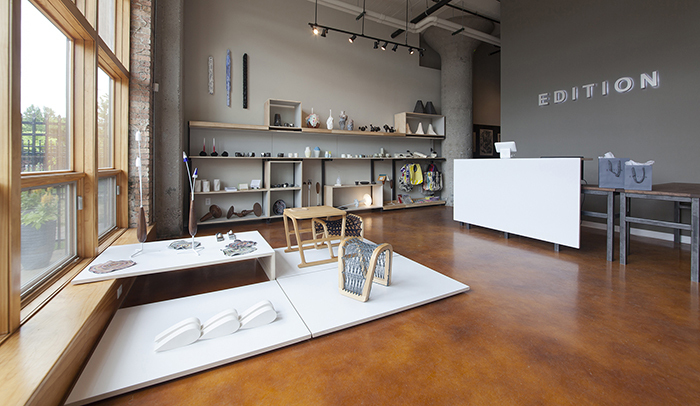 Displayed in a flexible, scalable presentation system that transforms over time, the art + design objects on view in EDITION express the space’s connection with Simone DeSousa’s art gallery, and additionally set out to follow the visual and creative shifts that mark the growing art scene and market in Detroit in its current transformations. 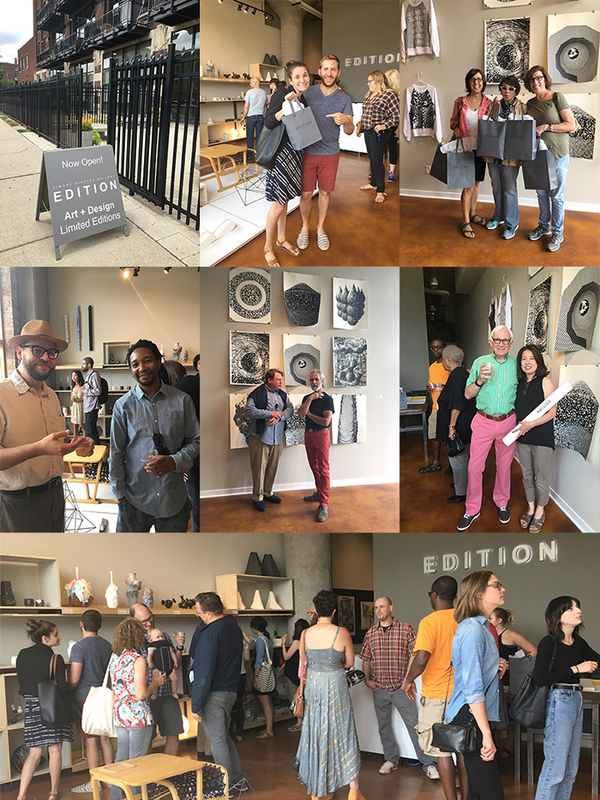 EDITION invites our visitors to experience a wide variety of limited editions, including vessels, jewelry, concept furniture, prints, media, and publications, by both emerging and established Detroit artists and designers, as well as from selected national and international creatives. In addition to staging actual encounters with contemporary Art + Design, EDITION will be a platform for conversations about art practices and theory, and seek to further collaborations with local educational institutions in art and design.